cards & clutter: AAA Cards - 4th Birthday! Hi all. 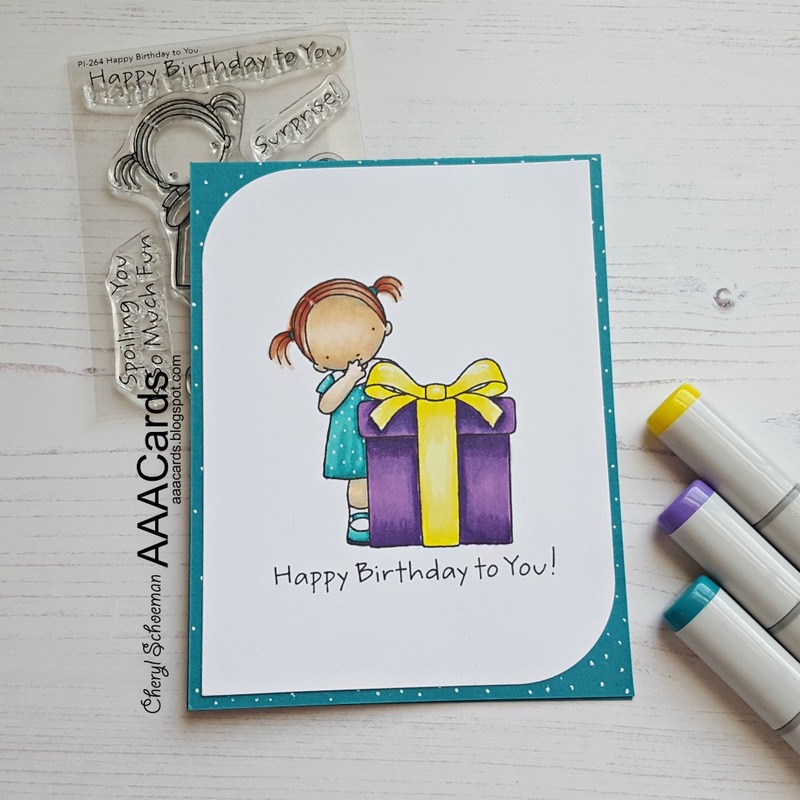 Today I am so happy to be a part of AAA Cards challenges 4th Birthday celebration bloghop!! I stamped the little girl and colored her with copics. Then I stamped the sentiment and used a die to trim down the panel. I used a white gel pen on a teal A2 top folding card to add some polka dots and adhered the panel on top. As with all good blog hops, there are prizes to win by commenting along the bloghop. There will also be more prizes for random winners on instagram and facebook (details below). 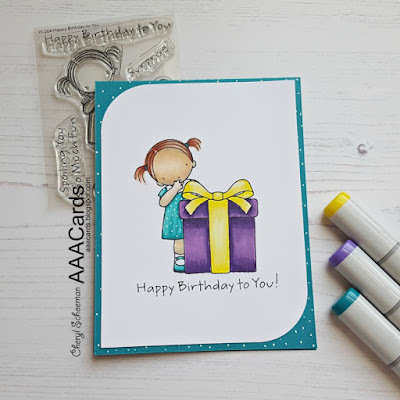 As mentioned, today’s post is part of a blog hop to celebrate AAA Cards challenges 4th birthday. Hopefully, you’ve arrived here from Ceal's blog but if not don't worry. The whole list is below. The most amazingly cute birthday card, love it! And I'm guessing there's lots of crafting supplies inside that present. I don’t have this little lovely but she goes on my wish list now! Just splendid. Amazing colouring on a really cute card! That purple present. Your coloring is so good! what a sweet birthday girl with her big purple package! Aww..a purple present.. ofcourse!! How beautifully have you coloured Cheryl.. I love it! Adorable card, love your coloring!! Cute Birthday day! I love your polka dot on cardstock idea! Sweet card! I love the stamp you used and your pretty coloring! Happy 4th birthday to AAA Cards! Such a festive card! Perfect for this great milestone! Love this! Love how the background paper matches her little dress! just simply adorable! This is adorable! I love the way you have coloured the present, the light and shade make it look as if it is absolutely bulging with goodies waiting to be unwrapped. Fabulous card, and the colouring is just beautiful.